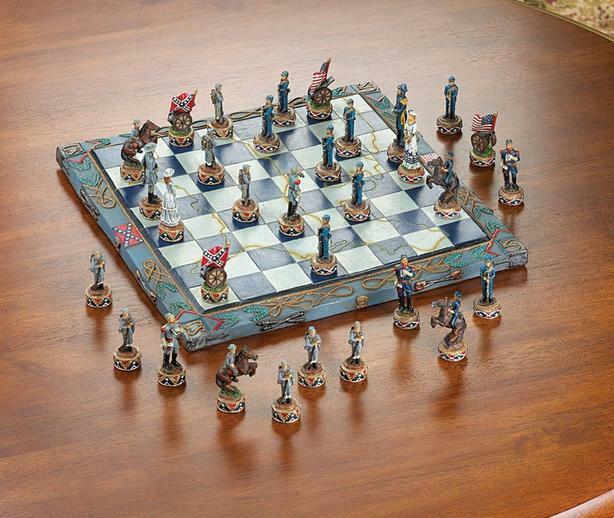 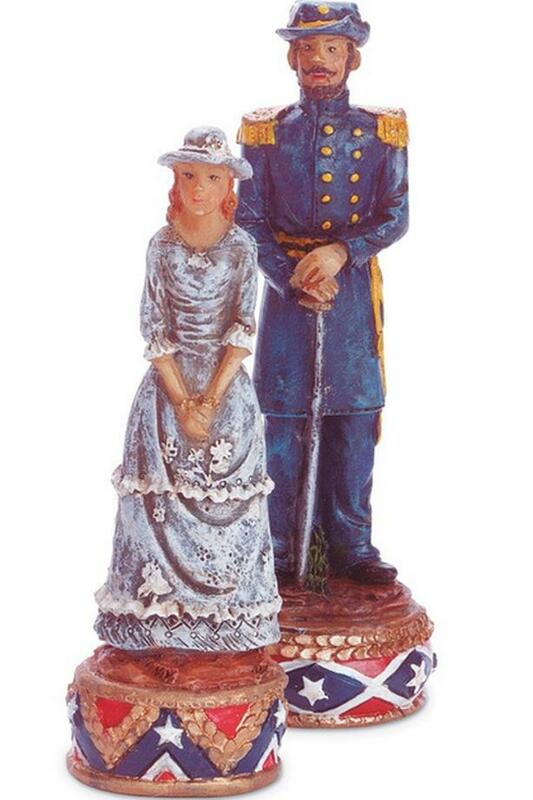 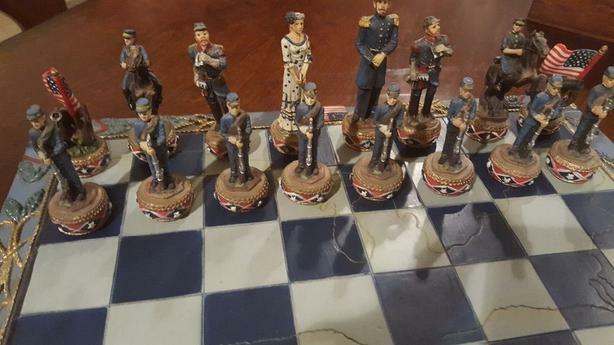 Each playing piece of this meticulously detailed chess set boasts authentic costuming and its own period props. 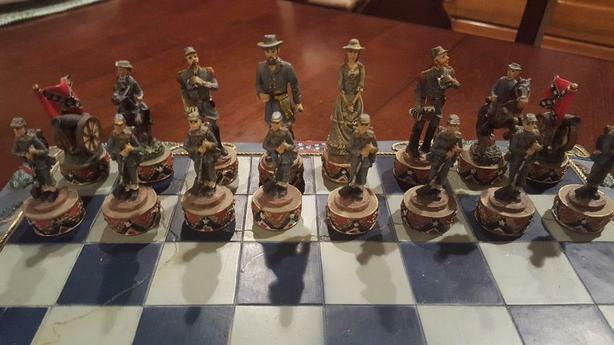 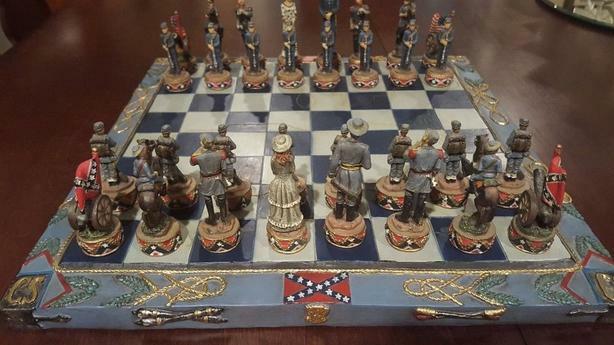 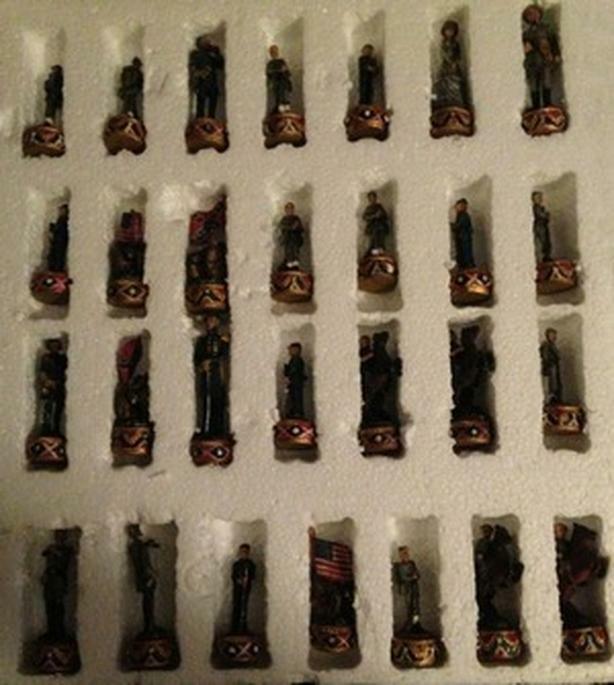 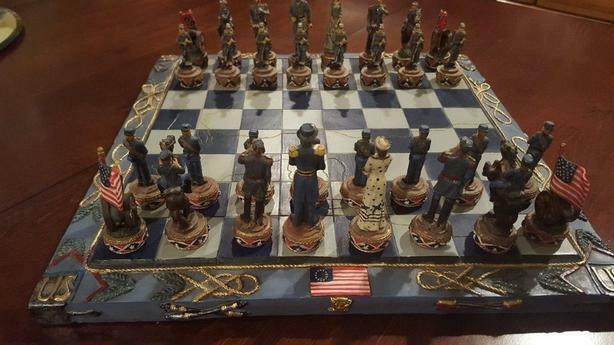 Even if you don't play, it makes a unique centerpiece & focal point in any games room, man cave or den and ideal for any civil war buff, the collector & chess fanatic. 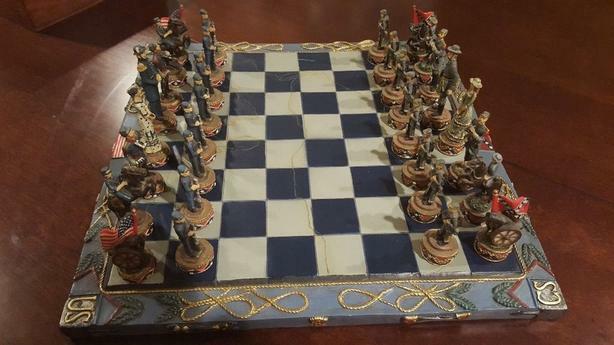 Measures 14.5/8" square x 1" tall & weighs 8.9 lbs.